Whatever your reasons for upgrading your property, it's wise to think about why you are spending the money. Are you looking to improve your home for your own enjoyment, or are you looking to increase its value? Both reasons are completely valid, but not every home improvement adds more than the expenditure. We've listed below six of the main areas of property upgrades that people embark upon to help you make an informed decision. The shiny parts of the home are where the value is most concentrated, so it's well worth modernising old kitchens and bathrooms. Just keep in mind that the expenditure should be appropriate to the price range of the property: a £5k kitchen from IKEA in a £1m house isn’t going to cut it, but a £50k Poggenpohl kitchen in a £350k cottage is going to be a waste of money. A rough guide would be to keep your budget between 3% and 5% of the property's value. The cheapest and often the most effective transformation of any property, where even the wildest taste in bold or garish colours can be tamed with minimal time and investment. So live exactly as you please, but consider toning out down when you come to sell if your style is particularly singular. And don’t forget to paint the front door! Chipped laminate, crumbling lino and chewed carpet are, unsurprisingly, fairly low down on anyone's wish list. While you might be able to live with them and even not notice them, you'll get a completely different reaction to your home from potential buyers when the floor coverings look great. Definite value enhancers. Extending up into the roof space, sideways over the garage or outwards elsewhere can dramatically increase a property's value and audience. Extra bedrooms and expanded living areas are a fairly safe bet, but annexes can be tricky as they are often designed for a specific individual's requirements. Try to steer clear of quirky or weird arrangements. If you are considering installing a swimming pool or tennis courts, these should be considered as entirely for your own pleasure, so make sure you enjoy them. It's possible you'll find a buyer with similar interests, but don't bank on a meaty return. 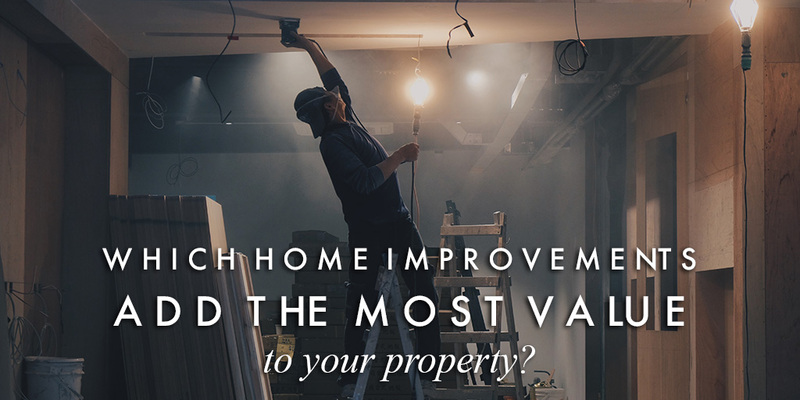 Outdated electrical, plumbing and heating systems are perfect candidates for upgrades that will definitely add value to a property, as well as enhancing your own enjoyment of living there. Consider the light fittings as well - vintage is one thing, old-fashioned another. A definite win-win. We hope you found our tips useful, but if you're in any doubt about which improvements to make to your property, simply call our teams in Berkhamsted or Tring and we'll happily give you our thoughts.